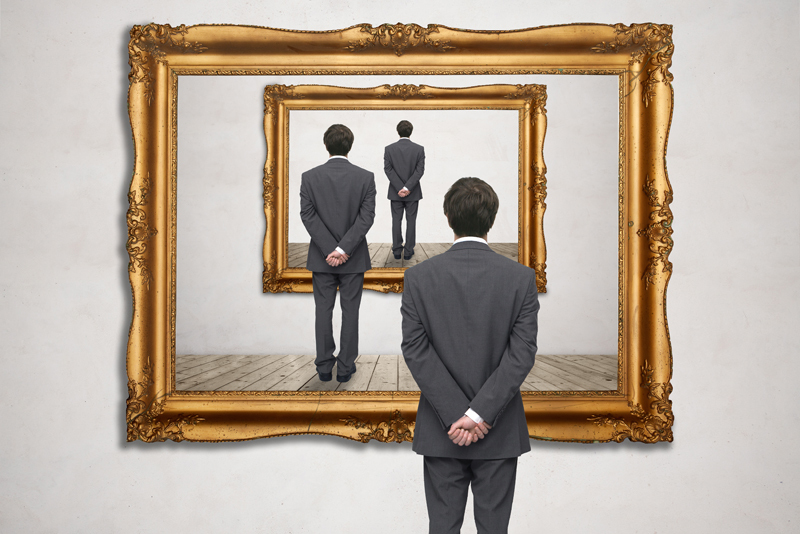 Many notable paintings can be seen in Hollywood movies such as the "Batman" movie of 1989 and the remake of "The Thomas Crown Affair" in 1999. The first "Batman" movie, based on the comic strip was directed by Tim Burton and featured Michael Keaton as Batman and Bruce Wayne. Kim Basinger played Vicki Vale and Jack Nicholson played the villain, the Joker. In one scene Vicki Vale is in a museum that has been teargased by the Joker. She remained as the lone survivor and has to face the likes of the Joker. Dancing to music by Prince, the Joker (Jack Nicholson) says, "Gentlemen, let's broaden our minds" and destroys some of the recognizable art: a Rembrandt self portrait, Degas’ statue "Arabesque," Degas’ painting, "On the Stage," Renoir’s painting of two girls, Vermeer’s "Milkmaid," and Gilbert Stuart’s portrait of George Washington. His weapon of choice is paint as he and his accomplices deface this world renowned art. Most of these works can be seen at The Art Institute of Chicago, except for a few, including Vermeer’s "Milkmaid" which can be found at the Rijksmuseum in Amsterdam and Gilbert Stuart’s "Athenaeum Portrait" of George Washington which is jointly owned by the National Portrait Gallery, Smithsonian Institution, Washington and the Museum of Fine Arts, Boston. The Joker pointed to the George Washington painting and said, "The one-dollar bill" as this is the image on that currency. Also, Thomas Gainsborough's "Blue Boy" is shown, which is located at the Huntington Library, San Marino, California. 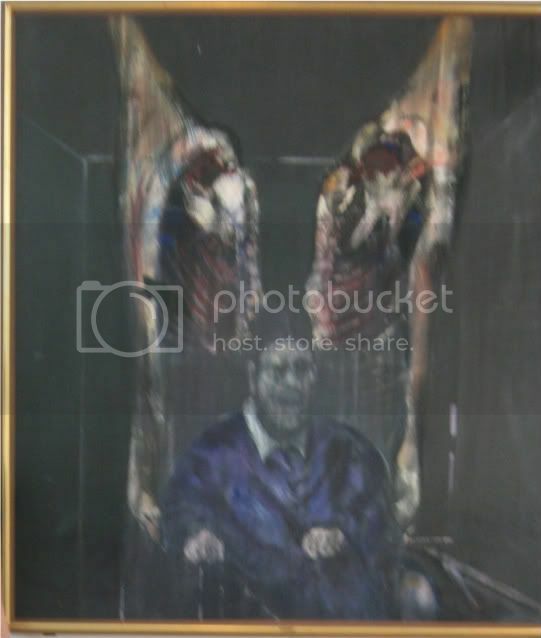 The one painting that the Joker chooses to save is Francis Bacon’s "Figure with Meat"(1954) which can also be seen at The Art Institute of Chicago. I have seen this painting and despite its bizarre subject matter, it is a remarkable painting. The Joker seemed to agree and didn't destroy Bacon's painting. The remake of "The Thomas Crown Affair" in 1999 brought Pierce Brosnan and Rene Russo together as another "dynamic duo" in a story about an art thief and an insurance investigator. The museum scene is a soundstage based on the interiors of the Metropolitan Museum of Art in New York. The Monet painting, "San Giorgio Maggiore at Dusk" (1908) also known as "Sunset in Venice" is owned by the Bridgestone Museum of Art in Tokyo, Japan and was on loan to the National Museum Cardiff, Wales. Van Gogh’s "Noon: Rest from Work (after Millet)" (1890) can be seen at the Musee D’Orsay, Paris. Another notable painting in "The Thomas Crown Affair" is René Magritte’s "The Son of Man" (1964) which is privately owned. This enigmatic painting portrays a man (said to be a self portrait of the artist) wearing a bowler hat, overcoat and a red tie. His face is mostly hidden by a green apple, except for his eyes which peek above the fruit. You can own "Batman: The Complete Television Series," available here from Amazon.com.